More than 100,000 visitors from 70 countries are expected to descend on Fort Lauderdale March 16 -25 for the 27th annual Winter Music conference. Travelers heading into Fort Lauderdale for the conference are staying to enjoy some of the area’s famous beaches and attractions, according to John Romano of Fort Lauderdale Vacation Rentals. Musicians and their families coming to Fort Lauderdale for this conference are also coming to enjoy the beautiful beaches and attractions that Fort Lauderdale offers. The Winter Music Conference in Fort Lauderdale kicks off March 16 as delegates from 70 countries flock to the city for the event that features more than 400 events, parties, seminars and workshops lasting through March 25. Many conference attendees are booking Fort Lauderdale Vacation Rental condos and private homes for their visit, and avoiding the expense of a hotel room. More than 100,000 artists and music industry representatives are expected to attend the Winter Music Conference, one of the most publicized music gatherings in the world intended to create a platform for the advancement of the music industry. Ft.LauderdaleVacationRentals.com offers a site for travelers anywhere in the world to find privately owned vacation rental apartments, condos, and homes in Fort Lauderdale and the surrounding areas, and rent them directly from the property owner. A growing trend in hotel-free lodging, vacation rental properties provide affordable accommodations for families and groups of friends looking for vacation condos or homes in Fort Lauderdale to rent without breaking the bank, especially during Florida’s high tourist season. 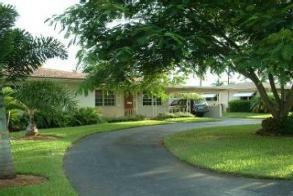 Through Ft.Lauderdalevacationrentals.com, travelers can rent a private one bedroom, one bath vacation rental condo in downtown Fort Lauderdale, or a three bedroom, three bath waterfront villa that sleeps six, for a weekend or a week at prices significantly lower than those of area hotels. The added benefits to staying in a private vacation rental home, in addition to the cost savings, are the kitchen, laundry, and all the amenities that go with staying in a private home. “We’ve found that visitors from the U.S. and Europe are logging on to FtLauderdaleVacationRentals.com to search online for an affordable alternative to a hotel,” said John Romano, founder of Fort Lauderdale Vacation Rentals. “Musicians and their families coming to Fort Lauderdale for this conference are also coming to enjoy the beautiful beaches and attractions that Fort Lauderdale offers,” Romano said. “They appreciate appreciate having a private vacation home with a kitchen, laundry room, and all the comforts of home. “Visitors can’t get over the value they get with vacation rental condo or villa instead of a hotel, especially when they discover how much they’re saving over a hotel,” he said. 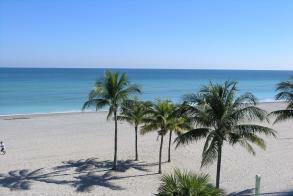 For moer information, visit FtLauderdaleVacationRentals.com. FtLauderdaleVacationRentals.com is not a broker; it offers a set of management tools combined with an economical conduit between travelers seeking the space, value and amenities of vacation rentals and homeowners looking to rent out their vacation properties. 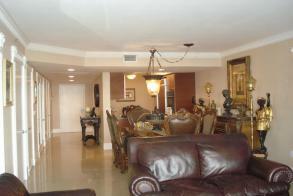 For more information, visit FtLauderdaleVacationRentals.com.